As I mentioned in my previous post flinto-subscription-october-boxes I bought their last month box too. It is SPACE ADVENTURE. Here is sneak-peak of September month's theme box of FLINTO. 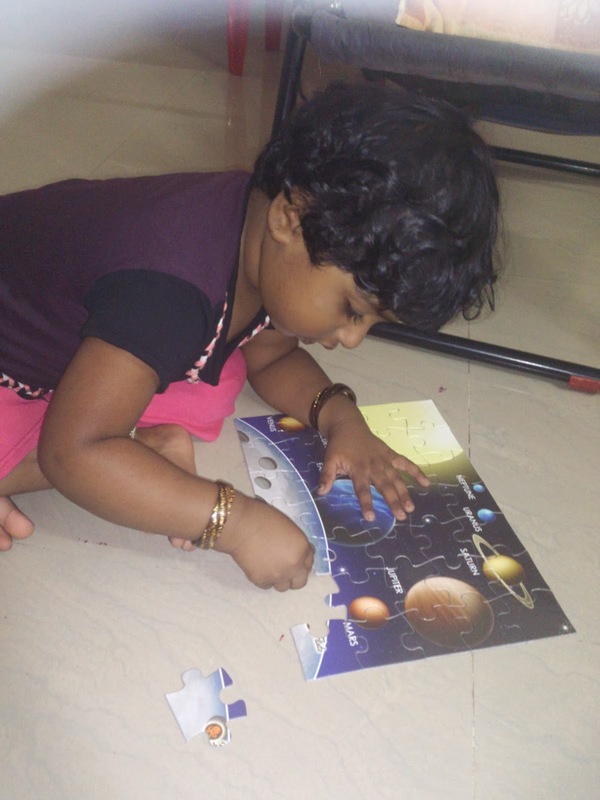 It was really fun for me to talk to my 2.5 year old about space, rockets, telescopes, spaceship and most importantly, planets & constellations. She surely learned a lot new about Space for her age. It has some astonishing pictures of space. 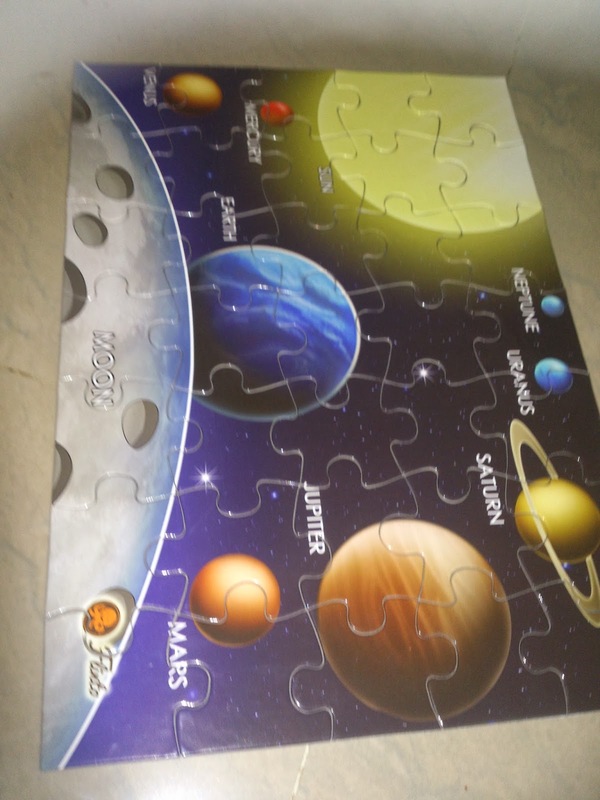 It's a double sided Puzzle which is totally new to her. But she managed to solve one side within 20 mins. And the other side she took 40 mins as she was kept thinking that previous side ones are actual ones. This is a DIY activity where child can create a projector that creates several groups of stars forming different shapes (constellations). I never expected that I can create constellations in my own room with simple objects like Paper Glass, Tooth Picks and Torch Light. It was awesome. Medha loved it. She asks me daily for switching off lights to see the constellations in our room. Sometimes she just projects torch light on the floor which forms a SMALL CIRCLE and whereas when it projects on ceiling it makes a LARGE CIRCLE. 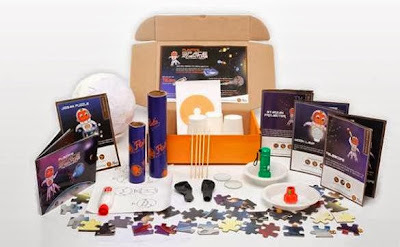 This is also another DIY activity where child can create their own optical telescope. This requires little help from parents for younger kids. Requires little monitoring whenever they use this as it involves LENS which can break if it falls down. 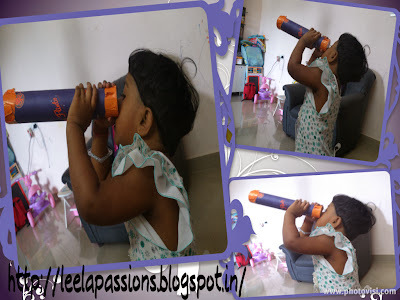 Medha enjoyed watching each and every object in this telescope. This is DIY activity to create a moon lamp. This we haven't tried as we need to let it dry for few hours to finish the lamp. I doubt whether Medha waits for it to dry or not. That's why I was keeping this activity back into our list. Update : We created Moon Lamp too. It's just so simple. Blow the balloon. 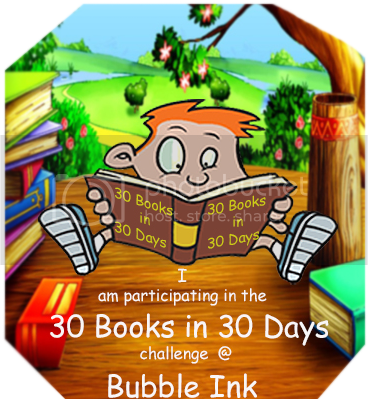 Stick the white color papers with glue on the balloon except around mouth of the balloon. Let it dry for sometime. Once dried, remove the balloon. So by now, you will have white paper ball just like in the below picture. Place the given torch light in the cup given and put the paper ball on top of it. Now turn off the lights, you will see a lamp as below. As it is white color paper, it glows as MOON. Like November box, we loved October box theme. 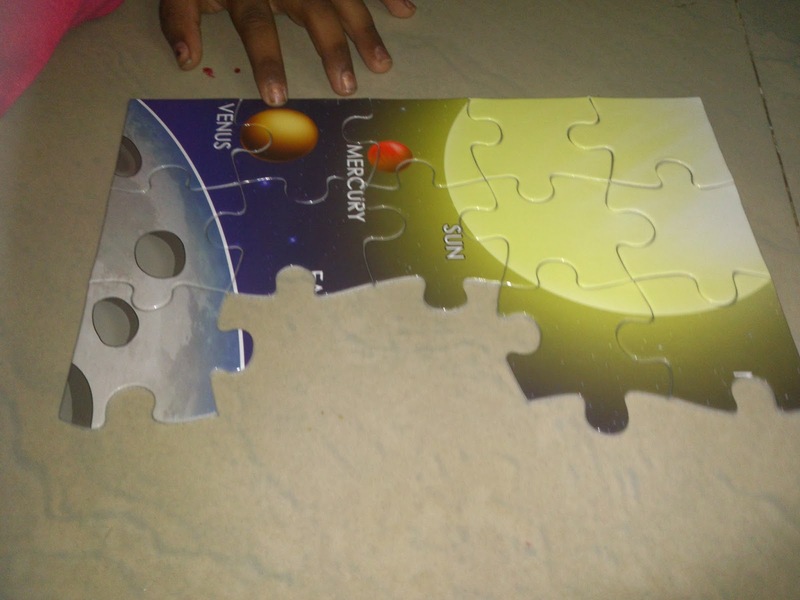 Medha definitely learnt a lot with this box about Space and Planets. Beautiful pictures of Flinto, Moon, Jupiter. She loved talking about Uranus and Neptune as they are the coldest planets. She kept asking me whether we should wear sweaters if we wanted to go to those planets? She loved Jupiter planet picture a lot, the largest one. Some times she asks me if Jupiter is angry as it is in RED color. :) And she loved Comet picture too as at first glance, she thought it was SUN with tail :P :P .
Each activity instruction sheet contains what skills can be enhanced in kid by doing that. In this theme box everything you need for each activity is not packed in one packet. So I struggled little to understand before starting the activity. Anyway I didn't face this in November box, so I think they improved packing the things. I am definitely looking forward to subscribe forever to get more themes and more interesting crafts.